One reason citizens formed the Coalition for Hanover’s Future was to advocate for the citizen voice in Hanover’s land use planning process. At the time, as Hanover County was embarking then upon a five-year review and update of its Comprehensive Land Use Plan, we encouraged residents to become informed about the issues and to get involved in decision making that would affect their lives. Further, because residents must live with the consequences of both good and poor land use planning, we urged vigilance as changes came to pass. As you may know, Hanover County is now in the midst of another Comprehensive Plan review and update. The need for focus and involvement remains paramount. Six community meetings, several Planning Commission work sessions plus ad hoc citizen group meetings have revealed more than a little dissatisfaction, much of it involving the implications of high residential density. Might this level of anger and distrust be mitigated if citizen input were solicited before the fact—before any map changes and language revisions were rolled out for public comment? As it stands, citizens almost always find themselves reacting. May 9, 4 p.m. – this work session will focus on land use planning in South Anna, including mix use and high-density residential zoning. The Elmont Village area is under tremendous development pressure. 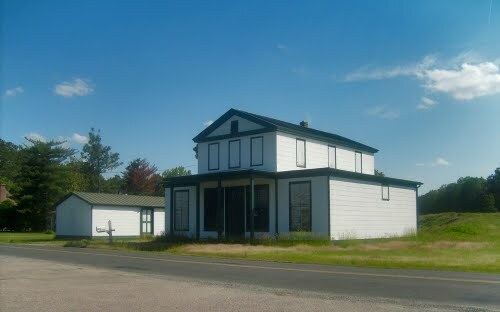 Elmont is a rural community consisting of mostly farmland. It is located on the old Richmond, Fredericksburg and Potomac Railroad and was served in earlier times by the electric trolley car, which ran between Richmond and Ashland. 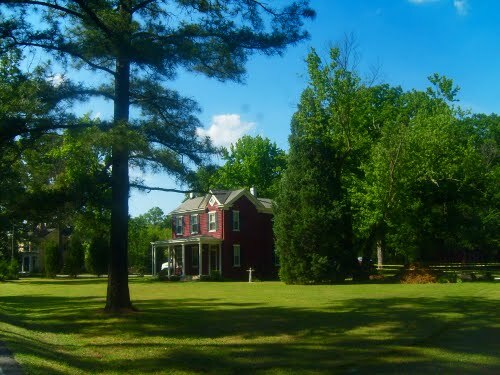 Elmont is one of the original villages of Hanover County. There is also a work session scheduled for May 16 at 4 p.m. Both meetings take place in the Board Room of the Hanover County Government Building at Hanover Courthouse. Our Email Alerts are a great way to stay informed about development issues and workshops. Our blog includes postings dating back to 2006 and as an archive, provides valuable insight about citizen engagement and land use planning. To subscribe to our Email Alerts, please email hanoversfuture@gmail.com and include your name, address, and district. On May 11th at 10 a.m. (Ashland Coffee & Tea), I will be speaking at the Hanover Democratic Committee meeting about the 2012 Comprehensive Plan. Please join me! Upcoming Comp Plan Work Sessions…. Would you recognize a plan that may compromise or erode Hanover’s quality of life? What happens in your backyard or across the county is determined by the Comprehensive Plan. The Comp Plan community meetings concluded and it’s time to find out what the county gleaned from Hanover citizens. Comp Plan Work Session…Thursday, April 11th, 4 p.m. The county’s Comprehensive Plan is a 20 year plan and it’s tweaked every five years. The tweaks made to the Comp Plan can have huge implications for the future. For this round, proposed changes to the Old Telegraph Road/Lakeridge Parkway and Cedar Lane corridors flanking U.S. Rt.1 have been flashpoints for some citizens. Others question the implications of a proposed “rural village” designation as well as increases to residential density. Where is the process now on the timeline? On the heels of six community meetings, the Planning Commission will hold a Comp Plan Work Session this Thursday, April 11th. Although it’s unlikely that the PC will solicit public comment, citizens need to focus on the nuances and minutiae coming out of the work session. Listen closely to the discussions taking place and please attend Thursday’s work session.